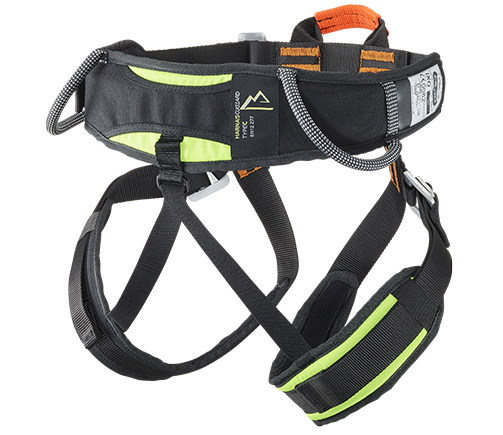 A padded and adjustable harness which offers extra comfort to the user. 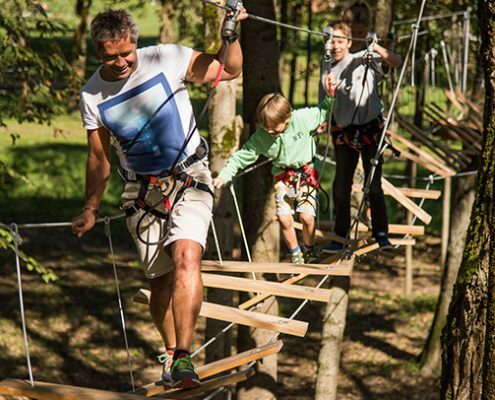 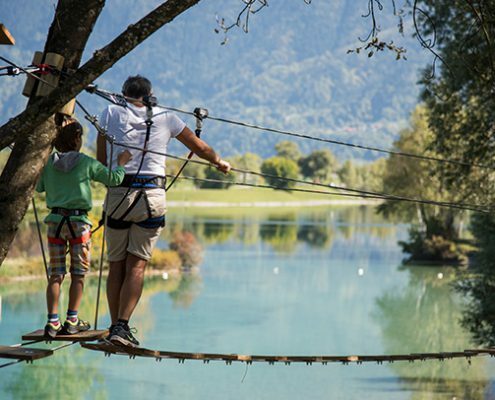 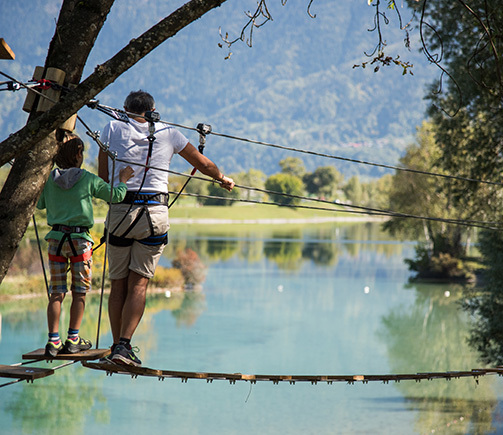 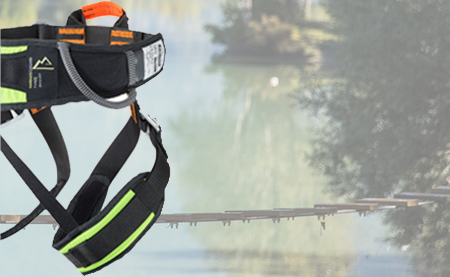 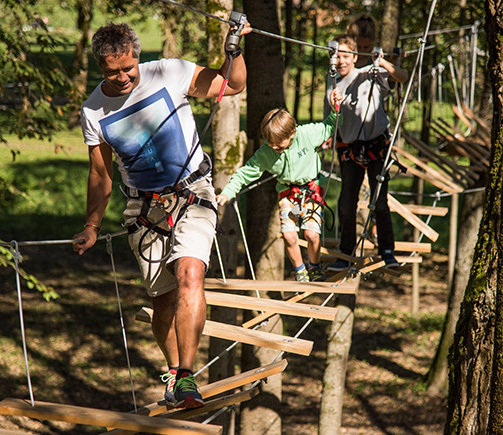 Ideal harness for aerial adventure parks with lots of zip lines. 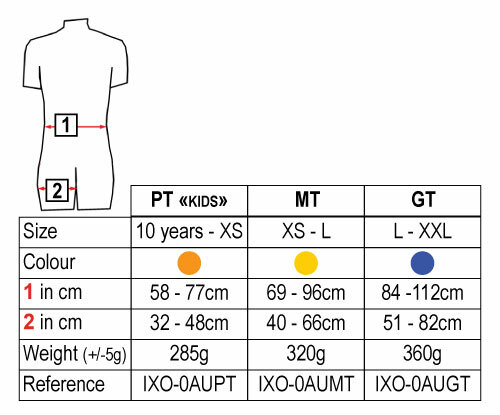 Available in 3 sizes: PT (10 years old – XS), MT (XS – L) and GT (L – XXL). 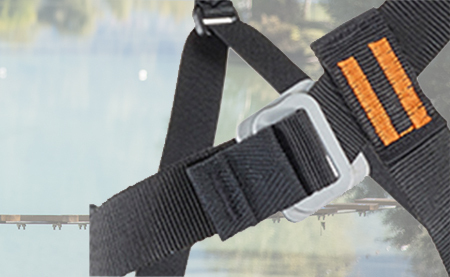 The colour-coded fabric on the belt makes it easy to recognize the size and correctly identify the left and right thighs. 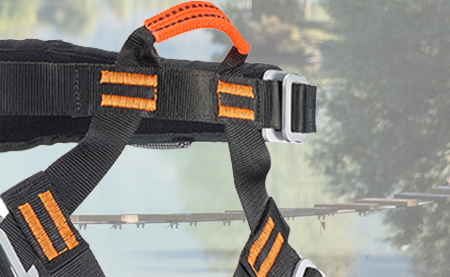 Orange central tie-in point with abrasion protection in Cordura. 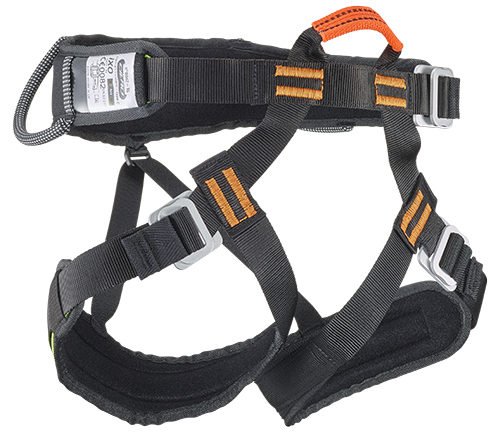 Rapid and easy adjustment of self-locking and unopenable aluminium double buckles. Belt and thigh of harness padded for maximum comfort when suspended.